I’ve reviewed plenty of activity trackers here at ShinyShiny, most recently the Misfit Flash and the Fitbit Charge, but over the next few months I’m going to be taking a closer look at wearable devices built solely with fitness and training in mind. First up: the Mio Fuse. So what’s a Mio Fuse? Unlike general activity-tracking wearables, the Mio Fuse is designed for those who take exercise more seriously. Its design and features make it an ideal exercise buddy for people who enjoy running, hitting the gym with a mixture of cardio and strength training and fans of interval training, too. But that shouldn’t put off beginners who want to ensure they understand the nuances of how their body reacts to exercise as soon as they start a training programme. I’m certainly not an ‘expert’ when it comes to fitness, but found the always on HRM (heart rate monitor) functionality fascinating and really helpful. 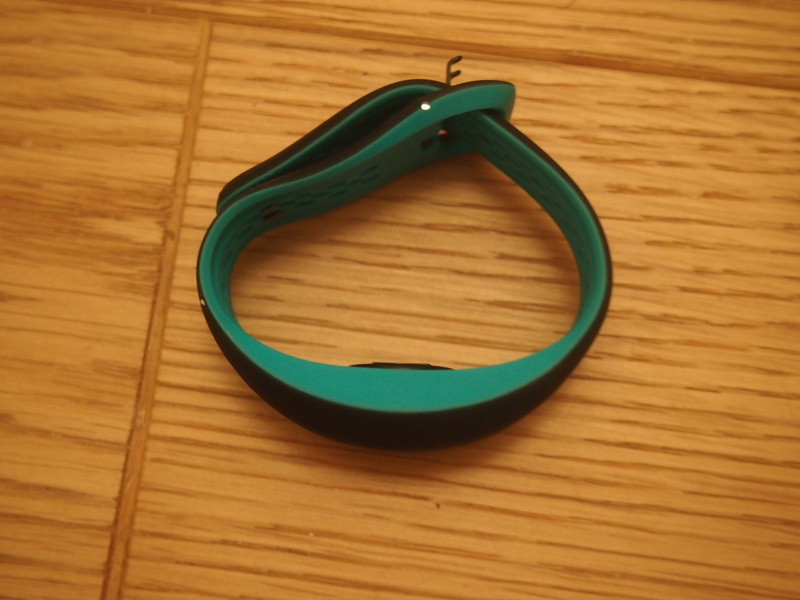 Like many wearable products on the market at the moment, the Mio Fuse is worn solely on your wrist. This is for ease of use, optimal tracking and also means heart rate readings are as accurate as possible. Which brings us onto the Mio Fuse’s USP, it can really accurately track your heart rate without hesitation. Granted more and more tech companies are working a HRM into their devices as I type this, but the Mio Fuse is one of the first to nail that kind of integration. You’re only meant to track your heart rate when you’re exercising, but you can check your resting rate too if you want. The device flashes between different zones (which you can set yourself). This means there’ll be different notifications if you’re in a very light exertion zone all the way through to a more intense exertion zone. The thing is, the Mio Fuse does all of this seamlessly. Some other products seem to want you to hold your arm or certain way or stay still while you’re heart rate is being read, which we all know isn’t going to work when you’re pounding the treadmill. Another nice feature is that the Fuse will vibrate as you move between exertion zones. This seems small, but is actually a great way to track what your heart rate is doing rather passively. Although if constant buzzing annoys you it’s easy to turn that feature off, too. The Mio Fuse isn’t just a one trick pony, for runners there’s also a stopwatch function and pace details. And the device can be worn throughout the day, providing you with the time, stats about how close you are to your goals, the calories you’ve burned, data about the steps you’ve taken and the distance you’ve covered too. These are all really important stats if the Mio Fuse is going to occupy a fitness space, but can double up as a general activity tracker as well. As I test wearables and talk about my experiences on social media, I’m coming across many people who originally just wanted a tracker to monitor their steps, but as they get into working out more and more they’re looking for something that straddles the line between the two. The Mio Fuse can certainly do that. The Mio Fuse comes in two shades, crimson for the larger size and green for the smaller. It secures onto your wrist like a watch with a double pronged fastening (you can see that in the photo above) and there’s an additional snap fixture at the end as well to keep the strap in place while you’re working out. The wearable has no buttons whatsoever, but the screen is touch capacitative. This allows you to touch and hold in order to enable workout mode. This will serve up your heart rate and pace while you’re working out. The data is presented on a dot matrix display with red LEDs. I can’t make the numbers look half decent in any of my photos, but I promise you they’re not even remotely blurry in real life! The band itself feels rubbery (I’m trying to get the name of the exact material for you, will update you when I find out!) and it’s much chunkier than other wearables I’ve tried (check out the photo below for a comparison between the Mio Fuse, Fitbit Charge and Misfit Flash). However, it’s actually really comfortable after you’ve been wearing it for half an hour or so and I was surprised it didn’t feel at all irritating or sweaty after a pretty intense workout. The design is really subtle for a piece of gym equipment and doesn’t look out of place paired up with your workout gear. It can be worn for tracking during the day too, but I found it a bit too bulky to not look far too ‘look at me I go to the gym’ when I wore it to work. I’m sure this might not bother people who have bigger wrists or are used to wearing big watches. It’s also worth mentioning that the Mio Fuse is waterproof, which means you can keep it on when you’re swimming. This is a huge bonus for me, as I’ve been known to take off wearables that aren’t keen on water when I hit the pool and forget to put them back on again for days. The Mio Fuse syncs up with an app that’s available for both iOS and Android devices called Mio GO. The app doesn’t feel as intuitive or in-depth as the likes of Fitbit’s offering, but for me it did the job, presenting the info you need and allowing you to delve a little deeper into stats if you want to as well. It also presented the heart rate info in a really meaningful way, which after all is one of the main reasons you’d probably buy a Mio Fuse. If the app doesn’t quite do it for you, then the Mio Fuse can link up to all kinds of third party apps instead, like Strava, MapMyRun, MapMyRide, Endomondo and a few more. The great thing about the app is it’s the central hub from which you can customise many elements of the Fuse. So for example, you can decide which stats your band displays, customise your your daily goals (you can choose from steps walked, distance and calories burned) and set colours and different parameters for your heart rate zones. Unfortunately there isn’t a way to hook the Fuse’s data up to a laptop or check it out via a web app. That doesn’t bother me in the slightest as I’m very app-centric, but I know Fitbit’s web dashboard attracts a lot of users. Feeling a little buzz as your heart rate moves from one heart rate zone to another is really handy, especially if you’re focused on certain levels of activity during interval training or cardio. I certainly found that little reminder motivated me a bit more and kept me mindful too. Although HR sensing tech has come on in leaps and bounds over the past twelve months, it’s worth mentioning the Fuse is obviously way easier that depending on bulky chest straps, which was the only way you were able to read heart rate before devices like this came along. I personally like the Mio Fuse because the heart rate data it presents is accurate, useful and doesn’t require you to keep looking at the screen constantly. It’s great that it tracks calories based on that data rather than making guesses and (here’s the kicker for me) it can be worn everywhere – during the day (if you don’t mind the bulky design), at the gym, on the road and even in the pool. 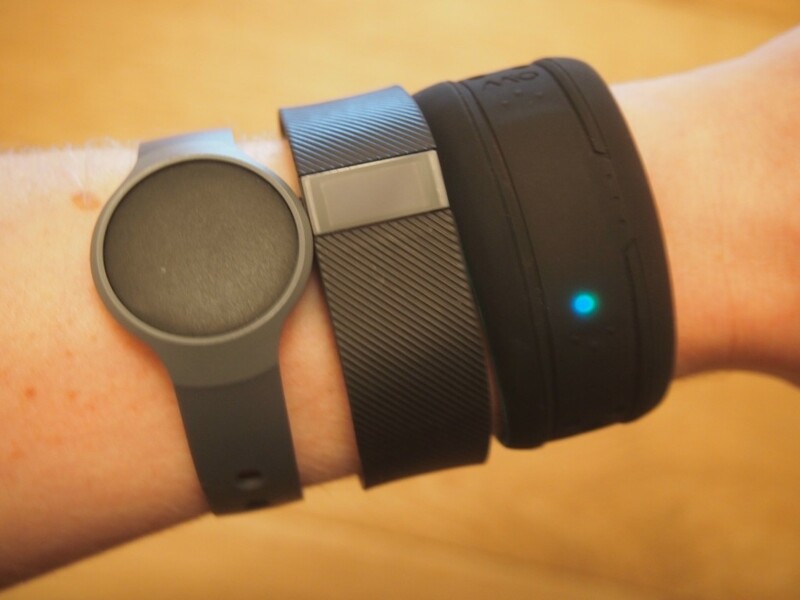 If you’re concerned about looks check out the photo above to see how it compares to two of my current favourite trackers, the Misfit Shine and the Fitbit Charge. As you can tell it’s a little bulkier in every way and not particularly stylish, but I imagine that won’t bother a lot of people – especially if they don’t have teeny elven wrists like I do! 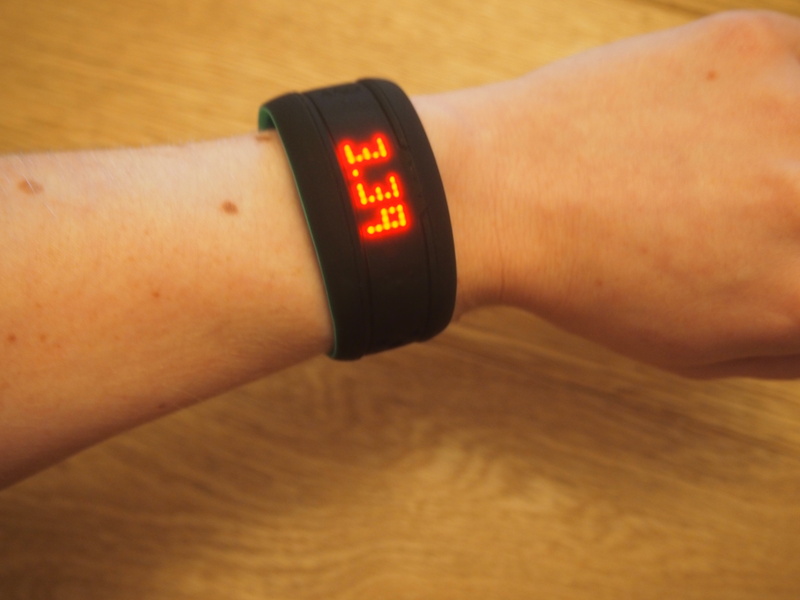 So if you’re keen on getting an activity tracker that’s just as much at home on your wrist during the day as it is at the gym, then the Mio Fuse is one of the best around right now in my opinion. But, as other tech companies catch up with accurate HR sensor integration, I imagine the Fuse will face stiff competition from the likes of the Fitbit Charge HR over the next year. Check out this page on the Mio Global website for information about how to calculate your heart rate zones. You can buy a Mio Fuse from Amazon for £130.